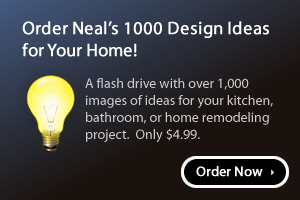 A challenge with this project was to find the best way to reuse several elements already existing in the space. The existing built in pieces were still in good shape, and were located in places that made sense with the new design. What was kept still required aesthetic updates. 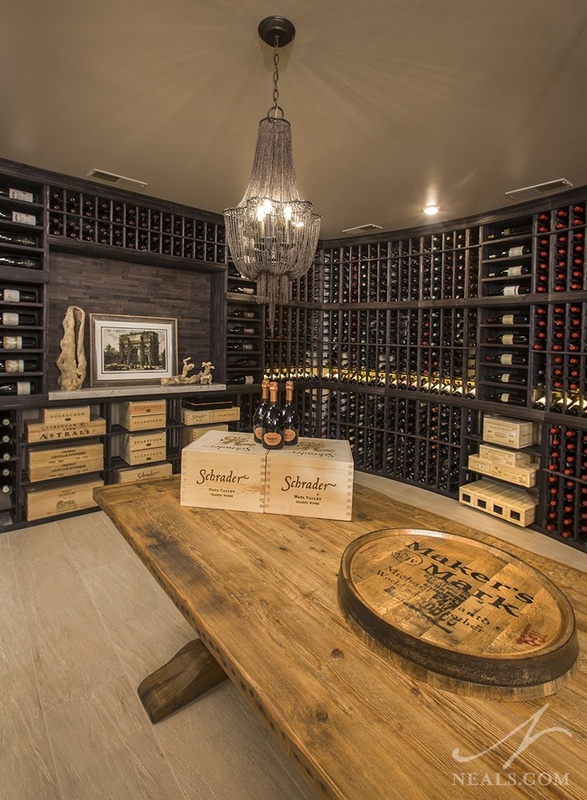 The wine cellar posed the largest challenge in the space. To create the temperature controlled room, several elements needed to come together, including the air-tight glass wall, an independent HVAC system, and the storage cabinetry installed on a curved wall. The HVAC installation had its own obstacle. It need to go through the foundation to get the ductwork in position. Before any of the design work could get underway, one issue had to be addressed - installing the air conditioning for the wine cellar. This system is a ducted, auto-humidification refrigeration system that constantly holds 55 degrees and 70% humidity. Two 3’ by 6’ openings were saw cut in the foundation to access the space where the new air system’s unit and ducts needed to be positioned. The AC unit sits in an unfinished space behind the bar. 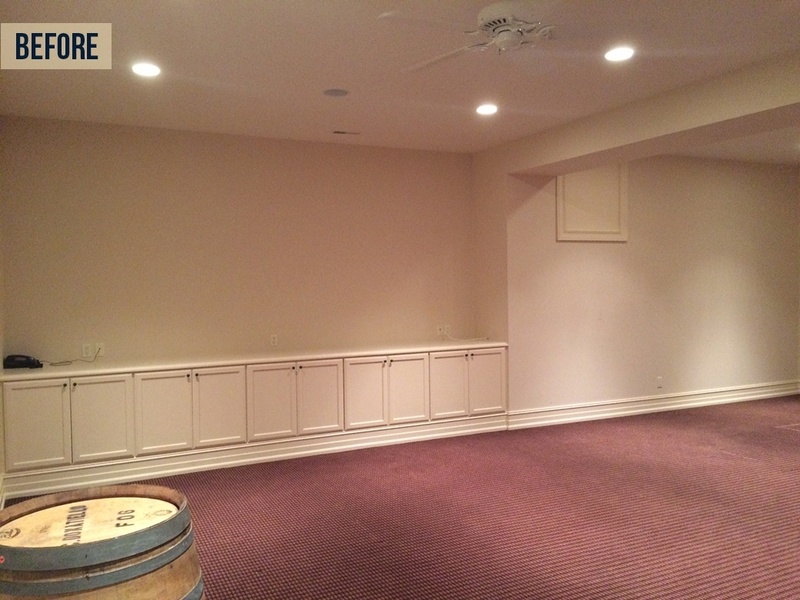 The vents go through the adjacent crawl space and radiate out over the wine room. 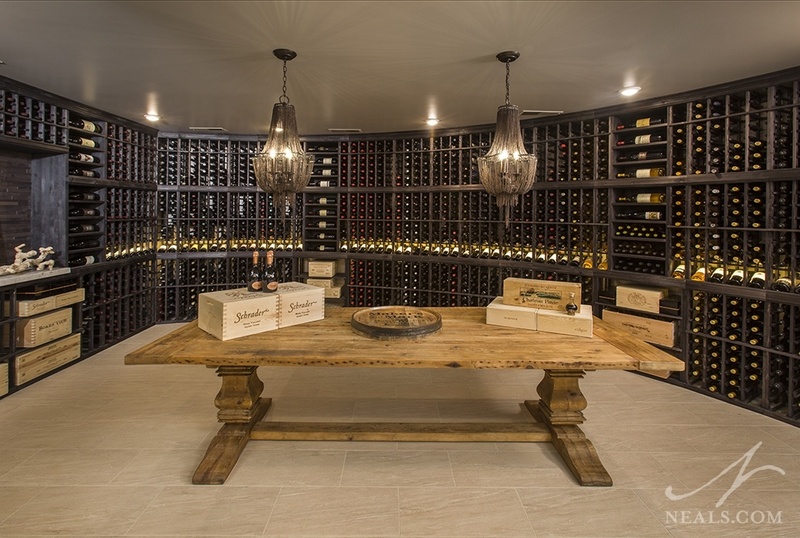 The installation of the wine cellar was also contingent on the space itself being properly prepared. This included the expanse of glass placed across the room’s opening. 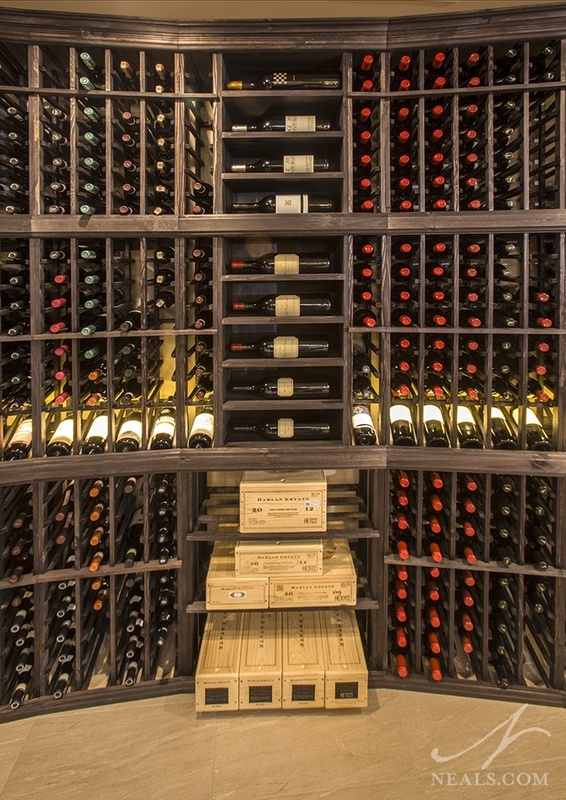 The wine cellar storage shelving was designed and installed by Wine Cellar Innovations. 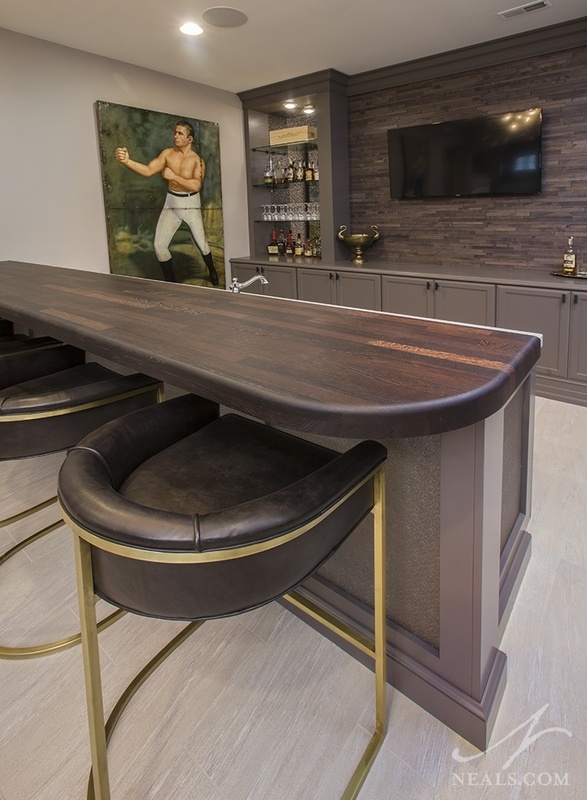 In the bar area, outside the wine room, existing cabinets were used as the basis for a custom bar backdrop. The cabinets were refinished and rebuilt, then open shelf cabinets were added on each side for a full-wall built-in look. An air return on the wall was removed to accommodate the new taller cabinet. The style of the existing cabinets was mirrored in the cabinets used for the peninsula-style bar to tie them all together. The style of the space is dictated by the use of a neutral color palette. White trim and doors, cream tile floors, and a medium gray on the walls for the base. Dark wood, at the bar and in the wine cellar, create a counterpoint. Dark gray cabinetry brings it all together. In general, the bar has a more contemporary vibe than traditional, but it also has the tailored quality of a richly appointed space. The chunky wood block counter is a perfect metaphor for this play between refined design and the causal tone that makes the room feel comfortable rather than stuffy. Osbourne & Little pleather inserts fill the recessed spaces of the bar, hearkening back to the chic leather-covered home bars of the 70’s in a thoroughly updated manner. 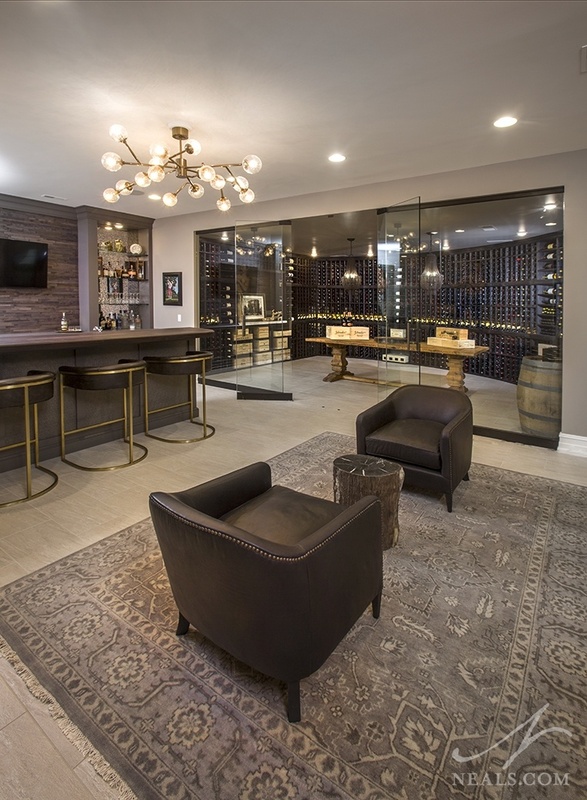 Friendly Wall inserts at the bar and in the wine cellar add a rustic note with random depths of the wooden bands. 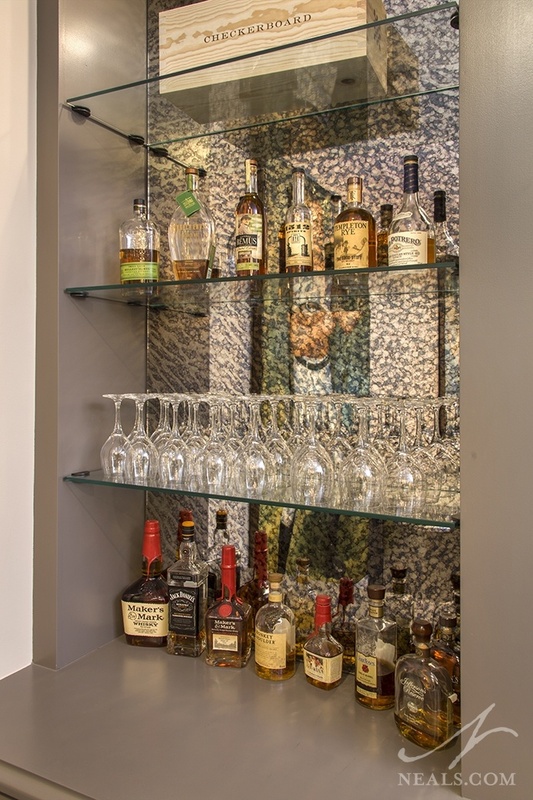 Behind the glass shelving in the open cabinets at the bar, antiqued glass in a silver patina pattern creates a chaotic backdrop to bottles of liquor and rows of glasses. 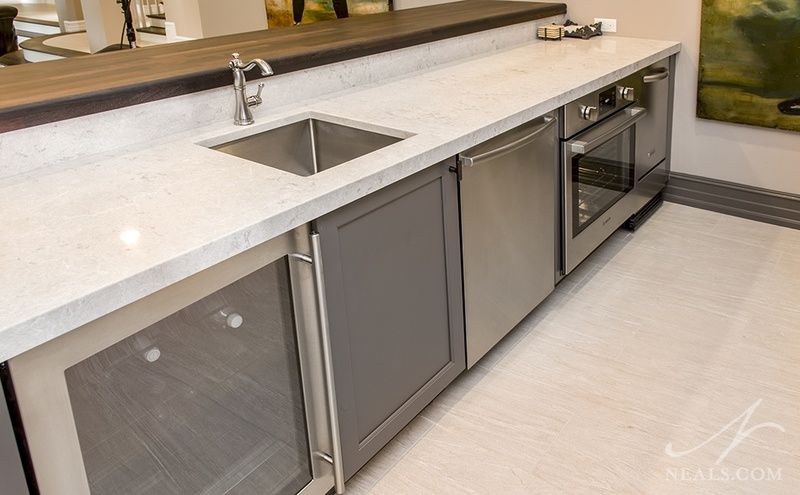 The counters at the bar also play a role in the overall design theme. A Caesertone top creates a sandy-looking surface that ties in all the pale tones already present in the room. 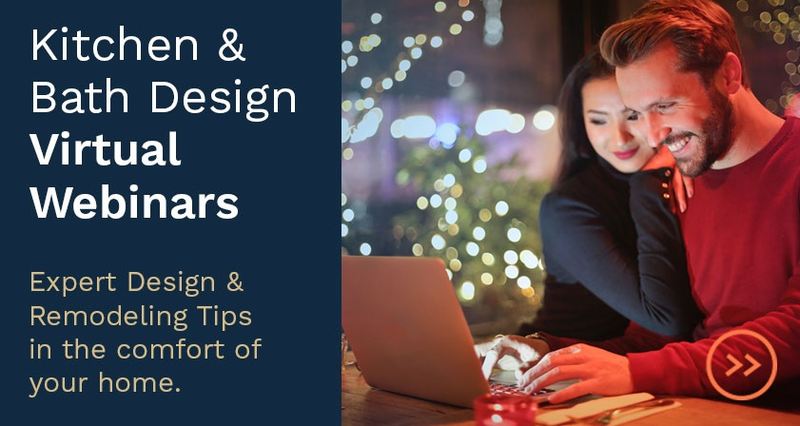 This selection is neither plain nor overly daring, which works well to keep the design feeling fresh and refined, not flashy or over the top.